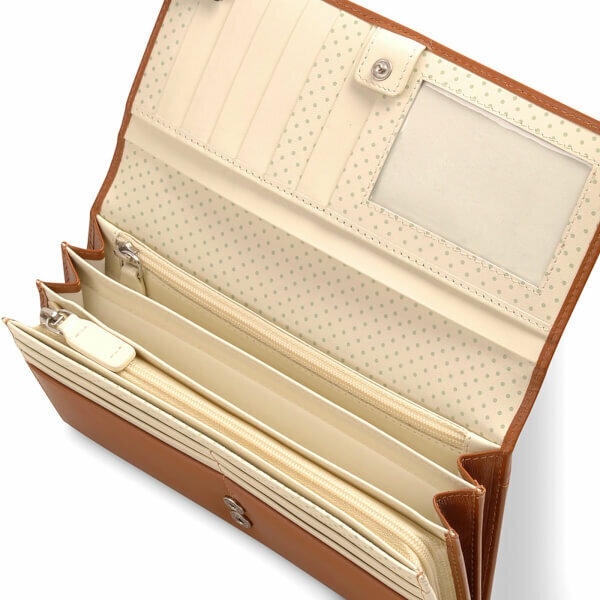 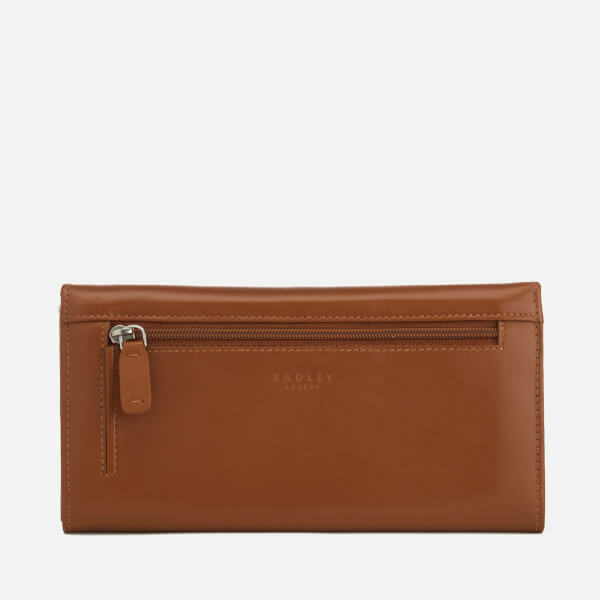 Women's leather purse from Radley. 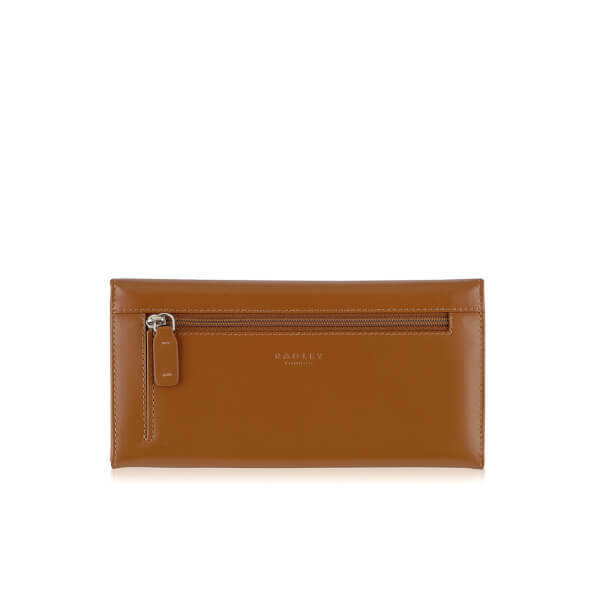 Crafted from smooth Liberty leather, the 'Matinee' purse showcases a foldover design with popper fastening, and features a practical interior equipped with zipped coin pockets, note compartments and credit card slots. 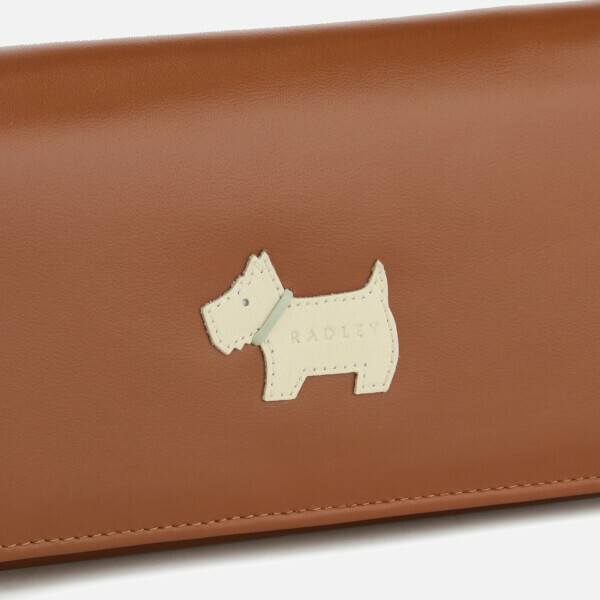 Complete with an identification window and signature appliqué dog motif to the face. 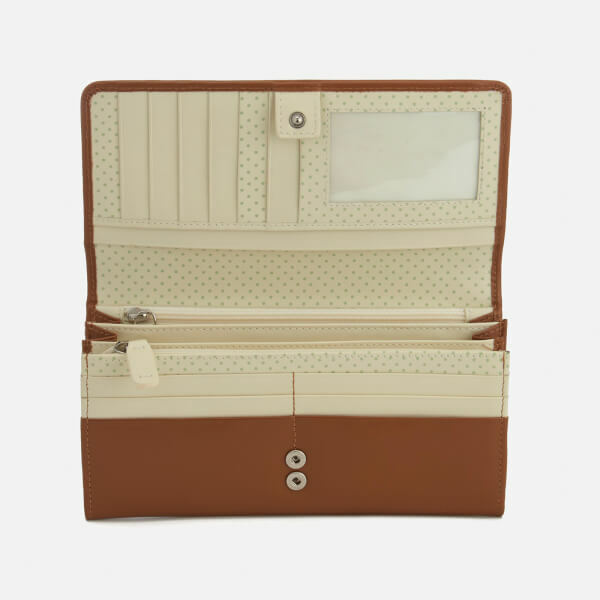 Zipped pocket to the rear for extra storage. 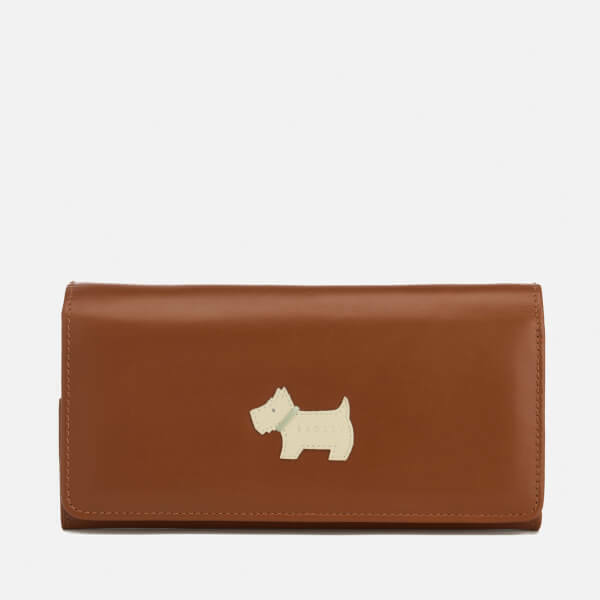 Dimensions: H: 10cm x W: 19cm.